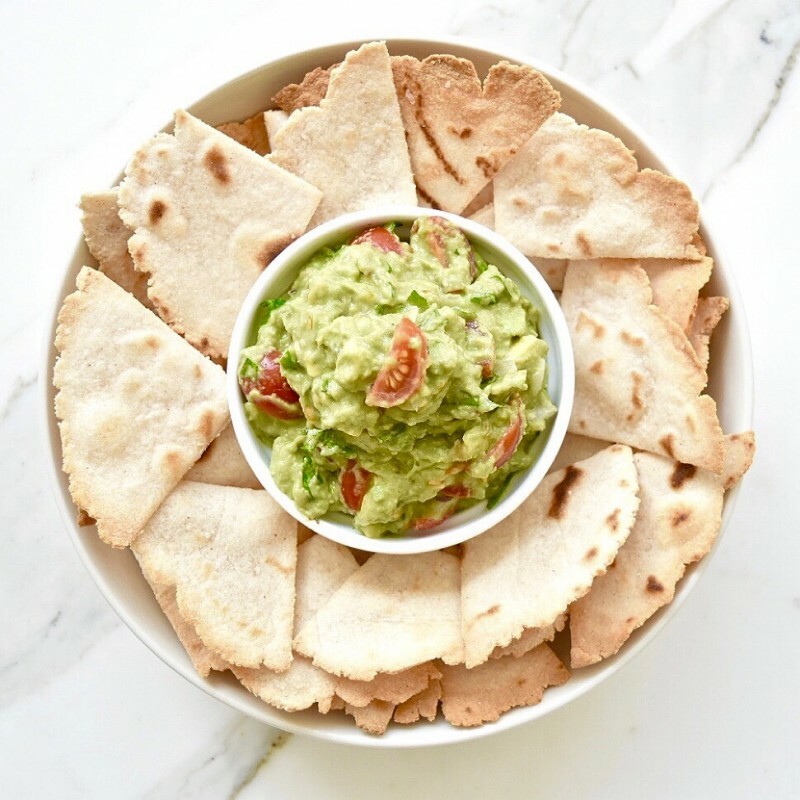 Tortilla chips dipped in guac are one of my absolute favorite foods. So when Vitacost asked me to recreate my fave cassava tortilla chips from Siete, I jumped. 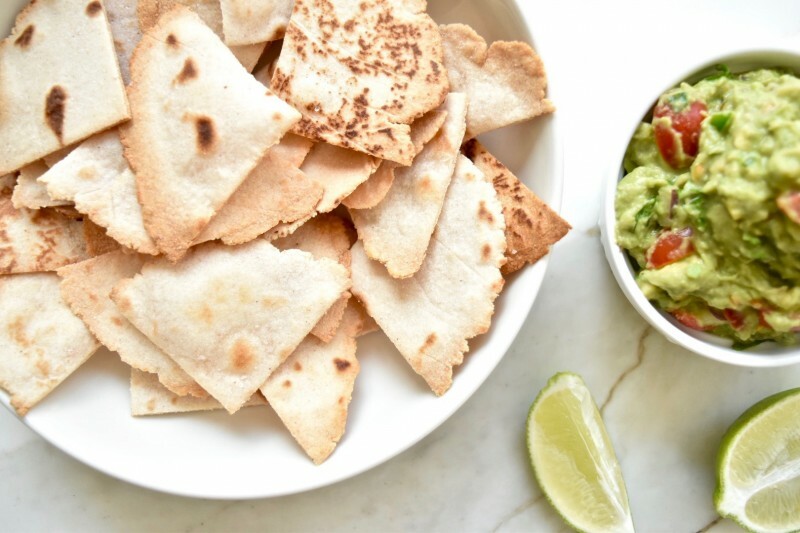 The Siete brand chips are delicious – if you had them, you know they are very light. Mine, on the other hand, are much more dense and sturdier. So, not an exact replica, but delish in their own right. Coconut flour is a great gluten-free alternative to wheat flour, and it adds a coconut-y taste to anything you use it in. It pairs well with the cassava flour in this recipe! I recommend using Vitacost coconut flour – it’s cheap and organic. Combine the cassava flour, coconut flour, salt, oil, and water in a medium sized bowl. Mix with a spoon initially and then use your hands to knead into a dough. Once the ingredients are fully incorporated into a dough, roll it out into a log and divide into 8 evenly sized pieces. Place one piece of dough in between two pieces of parchment paper and use a rolling pin or bottle to roll it into a round, thin tortilla. Repeat with remaining pieces. Heat a dry skillet over medium heat. Place 1-2 tortillas on it and cook each side for 1 minute before flipping. Repeat with remaining. You can stop here and have tortillas. Let the tortillas cool slightly before stacking them and cutting them into quarters (or smaller) to make the chips. Place the chips on a parchment lined baking sheet. Brush them lightly with oil on both sides, and a light sprinkle of pink salt. Bake for 15 minutes, flipping halfway through. 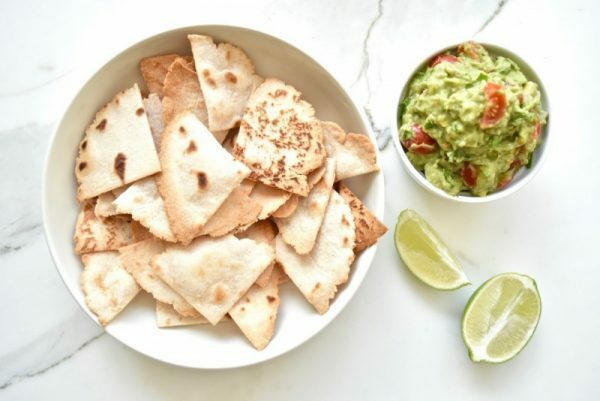 Serve them with guacamole or your favorite dip. Combine all ingredients in a bowl and use a fork to mash together, until desired consistency is formed.